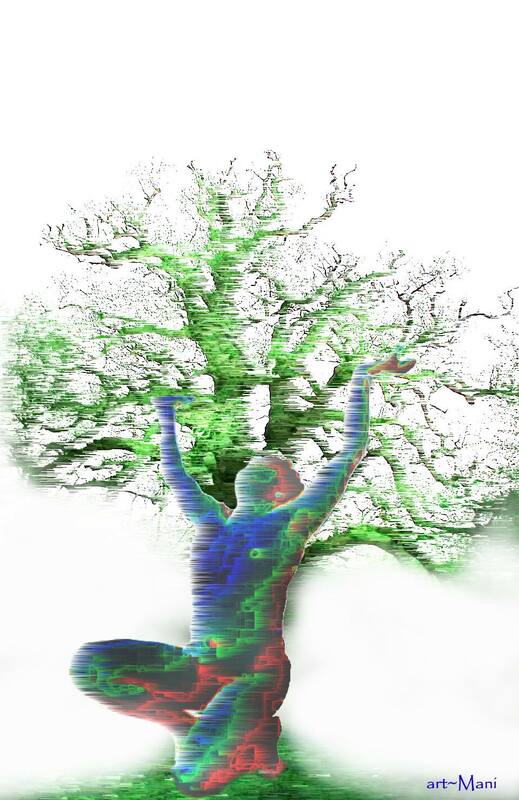 shadows | QuantumPhoenix.net – Esoterica, Paganism & Ritual Magic. Sometimes sadness descends for no reasons known..
and shadows just rise and cloak us..and choke us.. MidWinter may have passed and Sun-child may be born.. But we are entering the deepest part of winter..this.. now..
to loosen her grip on the world..
Lit by a path of light and flames. And then snow will stop falling..
and snow drops will rise..
the land will turn from grey with hints of green..and yellow..
All that is yet to come.. But.. we are entering the deepest part of Winter..! Remember the small gaps through which sands of time slip.. Remember too the face of the clown behind the mask.. Remember the tears never seen..
and the bleeding heart of the Knight behind armour..
’til the New moon.. ! 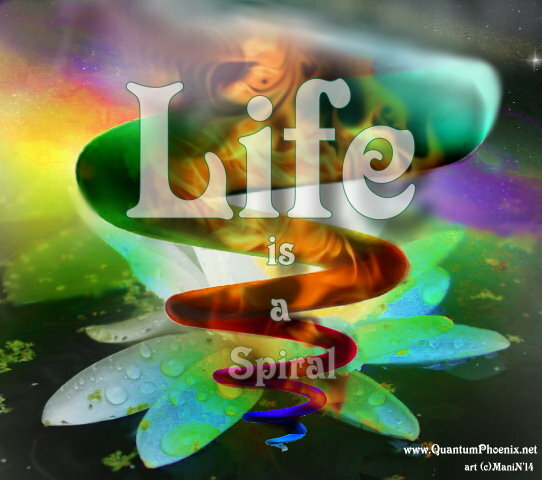 Life is not a circle..but a spiral. Cycles seem to come around, same things seem to repeat..but each time we are moving slightly up or down in progress.. and each time, we should try to do things slightly different, to see if energies and life shifts to better states..
At times, others may try to keep us in the same spot, or collapse our life from a spiral to a circle.. Not letting that happen is also hard work.. (in other words, letting people’s expectations and projections getting the better of us..). Its hard enough each of us having to work on our own shadows, issues and projections. So let’s make it easy on one another..
Life is not a Circle. Life is a spiral..
Let’s keep moving ..from the deep subconscious prompts onwards and upwards to our higher selves .. I sometimes think that Diplomacy is a double-edged sword – in that it appears to serve both parties, but the `Diplomat’ surely must have an inner personal motive, or some sort of loyalty – to even start engaging in the process. Often in heated battles situations (wars! ), the Diplomat does not rise from one of the warring sides. But it is a person(s) from a 3rd party. All seems to go well until tables are turned (and tables always get turned in real life). When a conflict arises in the backyard of the Diplomatic Agency or person, how they react often determines their true metal! I’ve thought about global examples.. how the British or American diplomats enter Eastern war zones and carry out mediations. Fine and dandy. But when some sort of war comes to their own lands (home), all such approaches seem to go out the window! Local and national governments, or governing bodies – who perceive the threat don’t sit around calling foreign diplomats to help. No. They get their military in ship-shape first; and their weapons; and their internal security measures, surveillances.. and of course they start to pass new laws to defend themselves, and to give themselves `new legitimate’ powers – so they can do anything, and call it `okay’. Look at all the cameras around London.. look at all the new laws.. all since the few deaths by terror attacks on a bus, a station or a building in a few Western cities. But out there in the rest of the world, whole cities are getting blown to bits – and that some how seems to be acceptable.. If you think I am talking about international wars and peace processes, and that none of these will touch you personally – think again! How well do you know the politicians and Diplomats in your community? When I say `know’ I mean their real darker sides that you don’t see – because you never challenged their core, and so they never have had reasons to show a personal retaliation. Politicians in power do play long games well… they are good at it.. a hand-shake here, a hug there, kiss a baby here, make a speech there, cut a ribbon here – and stitch someone else in the dark! Think about all the Dictators in the world – none of them gained power through war. No. First they won their people’s hearts with politics, diplomacy and promises. And when they were in power, they started making deals, and secret promises to their loyal commanders, and threats to anyone who dare oppose them.. That’s how their empires grew- and it takes decades sometimes.. for true colours to show. It is not guerilla warriors who employ terror tactics. Politicians do it 10 times more. Politicians in power use outside events ( a bomb here, an attack there) to their advantage – and use it to stoke people’s fears more.. and offer solutions in the form of new measures, rules, systems and laws! And they line their supporters in other places of power – so that when a `democratic vote’ takes place within an elected body- they are sure to have support. It all looks perfectly democratic. But beneath the surface, their shadows move and grow! I’ve never liked politics or diplomacy. Just can’t trust it. Am a get up and go kind of guy. Am an action man – who shows his happy face and the angry face – as and when it happens. I growl, I snarl, and do fight tooth-n-nail to the last drop of my blood. 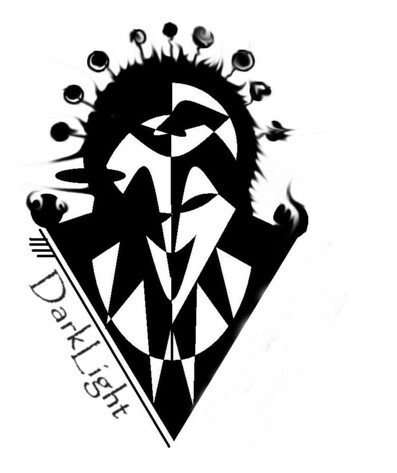 My family & friends might not like it, but they know what they are getting..
My darker side is in full light of the world! Can diplomats and Politicians say the same?